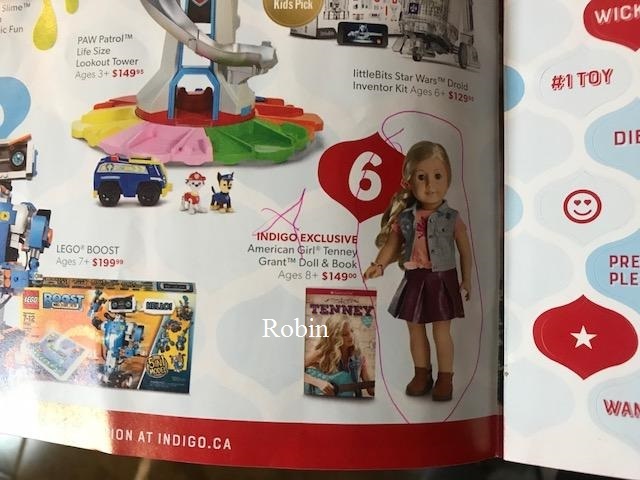 Got a holiday toy catalogue in from Chapters Indigo today (which Avery promptly started a Christmas list from and which Brooke is now perusing herself!) 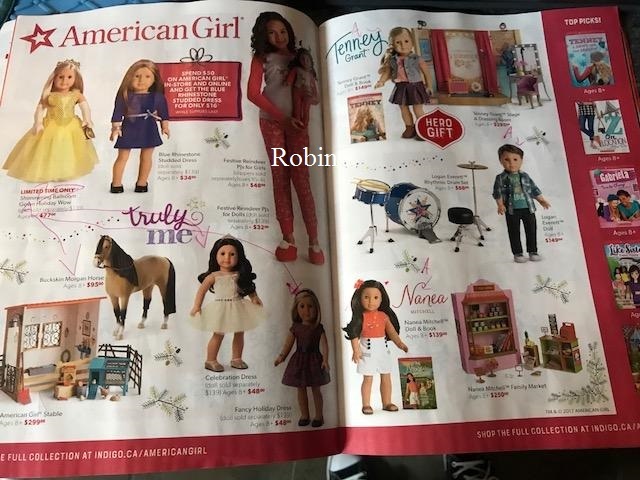 This is the same store that sells American Girl/Wellie Wishers here in Canada. And, what should I see? Glitter Girls! They are available from Indigo and very reasonably priced at $29.99. Avery has already picked one that she would like to ask Santa for! 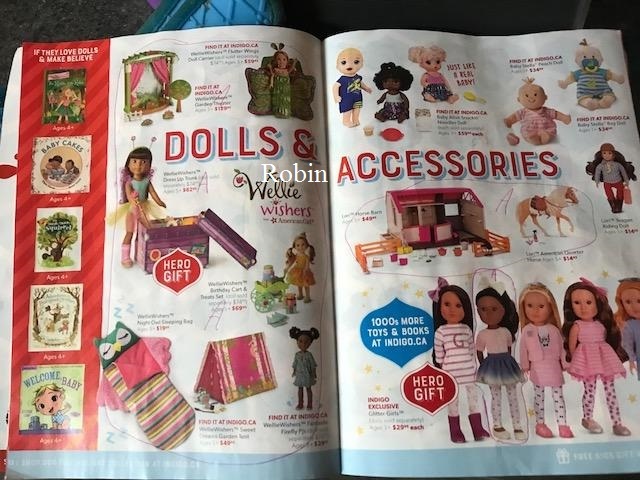 No Glitter Girls accessories were shown in the catalogue, but that doesn’t mean they don’t have them in store. Now that I know where to find them, I’ll have to go and see them in person! Stay tuned for more! I would love to know more about that AG yellow dress. I wonder when it will be available in stores? I love these images of your catalog enthusiastically labeled. Sometimes dreaming is more fun than getting the gifts. 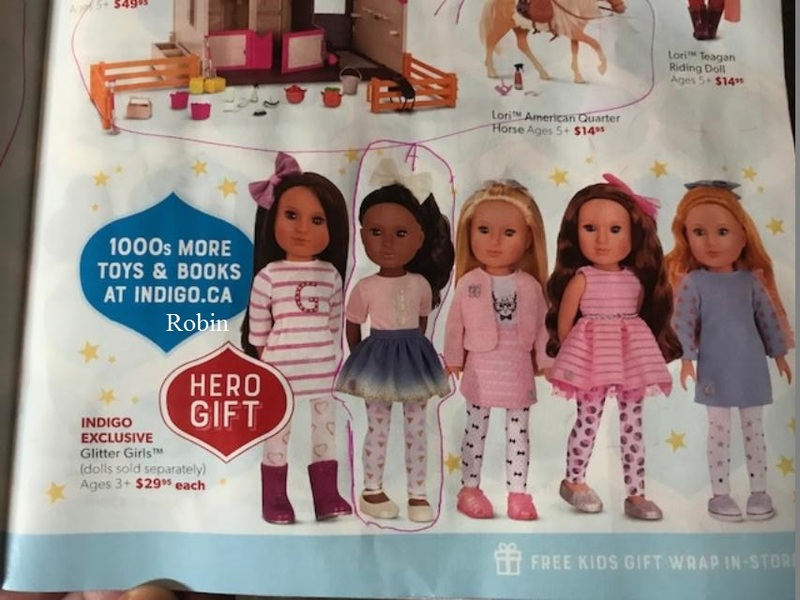 Times change, but not the joy of a Christmas catalogue. 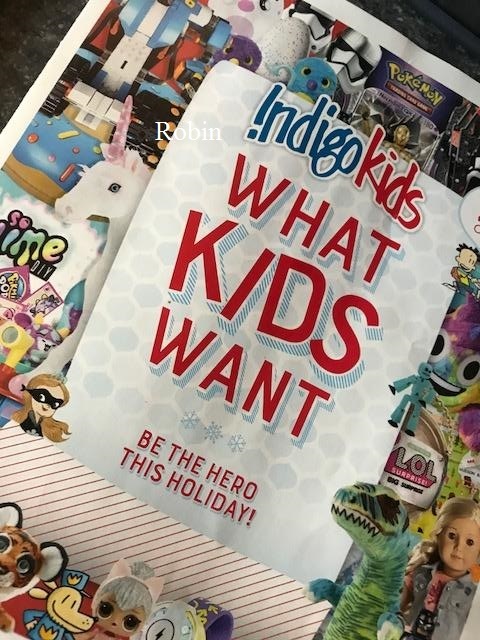 I remember my friends and I looking at catalogues for hours and picking out wished-for treasures. Joy of dreaming remains the same! I would love to see Poppy or Fifer with their hair down.